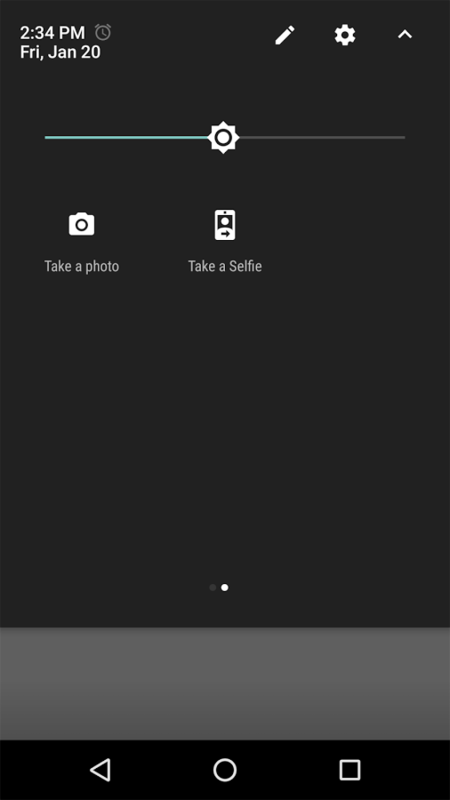 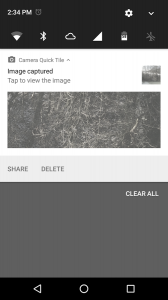 Camera Quick Settings Tile allows you to quickly take a photo right from your Quick Settings! 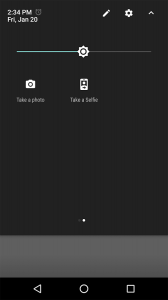 Open the Quick Settings Panel, tap on edit and drag the tile from the bottom into the active area. 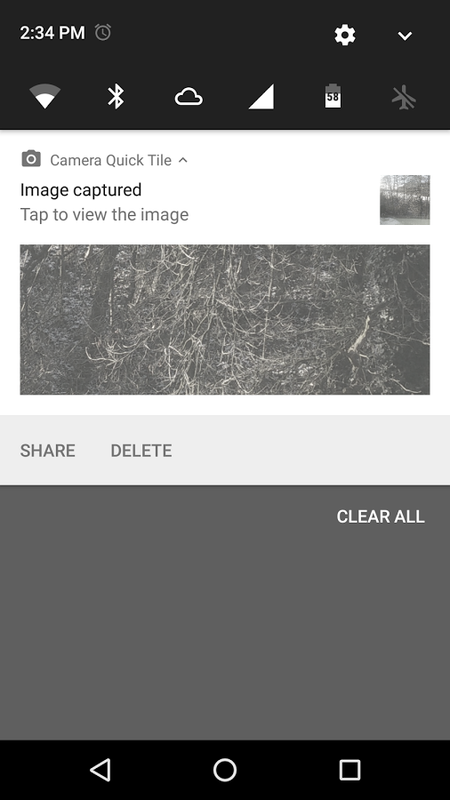 The app requests permissions for your camera to take the photo and for your external storage to save the image.